At Hardy Pediatric Dentistry, we are dedicated to providing comprehensive children’s dental services in a safe, fun and educational environment. We love kids, and believe that with regular dental visits and good home care, your child can grow up cavity free. Whether its your child’s first visit or a routine check up, Dr. Nam and her staff strive to make sure you and your child and comfortable and informed. Dr. Nam is happy to offer the best of what’s new in dental technology with laser dentistry. Dr. Nam is currently one of only a few dentists in Colorado that can offer you this high-tech laser treatment. Laser dentistry is accomplishing what dentists (and scientists) have been working hard to accomplish for years – making a cavity procedure drill-free and shot-free. The laser allows Dr. Nam to treat patients without injections in 99% of cases. This makes for a much less traumatic experience for most children. Our young patients also receive their dental care in a fraction of the time they were accustomed to from traditional drills. Laser dentistry is so much more comfortable for our patients and there is no time lost waiting to feel your face again! The numb feeling following traditional cavity treatment can be very bothersome to many children. Now kids get excited about coming to the dentist. Kids think the laser is cool! Dr. Nam’s skills have been proven again and again across the state of Colorado. 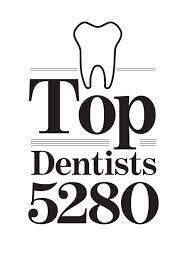 She has been recognized for her accomplishments and was voted by her peers for the noteworthy distinction of Top Dentist across the state and a 5280 Top Dentist 2016 awardee. This distinction was given to her for her exceptional experience, continuing education, manner with patients, use of new techniques and technologies, and physical results. She has also served as a team member at Children’s Hospital of Colorado, a facility that treats and heals more children than any hospital in the seven-state region. Children’s Hospital Colorado specialists have been nationally ranked and globally recognized for shaping the future of children’s health — something Dr. Nam is passionate about. As a mother herself, you can feel confident that your children will find a safe, gentle, happy home in the heart of Dr. Nam during their time at Hardy Pediatric Dentistry & Orthodontics. In 2013, the ADA launched a nationwide campaign to bring preventive dentistry into communities after staggering statistics showed that nearly 1/2 of adults over age 30 suffer from some form of gum disease and nearly 1 in 4 children under age 5 already has a cavity. Dr. Nam is committed to doing everything she can to support the ADA’s preventive dentistry campaign to help the Erie and Broomfield communities achieve and maintain better oral wellness through prevention-based practices and education. Pediatric dentistry can offer you something that you just can’t get from a general dentist. Pediatric dentists are specialists that are dedicated to the oral health of infants, children, adolescents and patients with special needs. Dr. Nam set aside an extra 2 years for specialized dental training and education after dental school so that she could offer your child (or teen) expert skills and individualized attention for their unique needs. Pediatric training includes studying child psychology, growth and development along with exposure to the specific dental and emotional needs of growing children. Dr. Nam’s entire focus is on your children. When your child becomes a patient of Hardy Pediatric Dentistry & Orthodontics, they become a part of our Hardy family. Our goal is to provide them with a safe environment that fosters excellent oral hygiene habits and healthy attitudes towards dental visits and dental health. One of the biggest advantages that you have as a member of our Hardy family is that you have both pediatric and orthodontic services housed in the same facility. Your child can easily transition from his/her time with Dr. Nam in pediatrics to orthodontics — when the time comes — without the fear of going to a new office with unfamiliar people and faces. 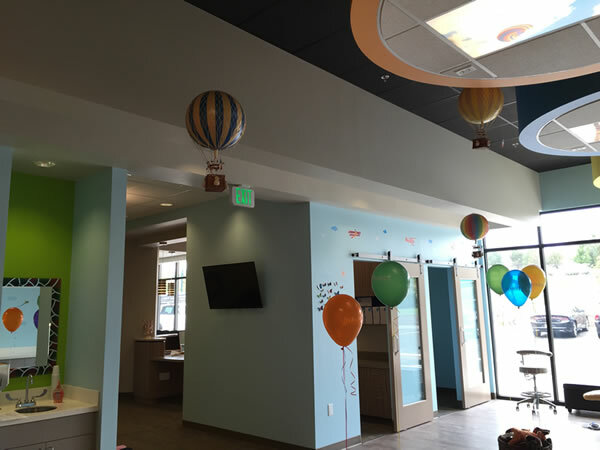 The facility is designed to provide just enough separation between the pedo/ortho disciplines to give younger patients the benefit of a dental home from age one through braces, while also letting teens/adults feel comfortable not getting their braces at the “kiddie” dentist. The top-of-the-line technology offered for both pediatrics and orthodontics will ensure that your family gets the best care medicine and science can provide with a gentle and kind approach. Well-trained staff with developed systems allow patients and parents to move quickly through the process. Hardy Pediatric Dentistry & Orthodontics accepts all dental insurances and is a provider for most major dental insurances.